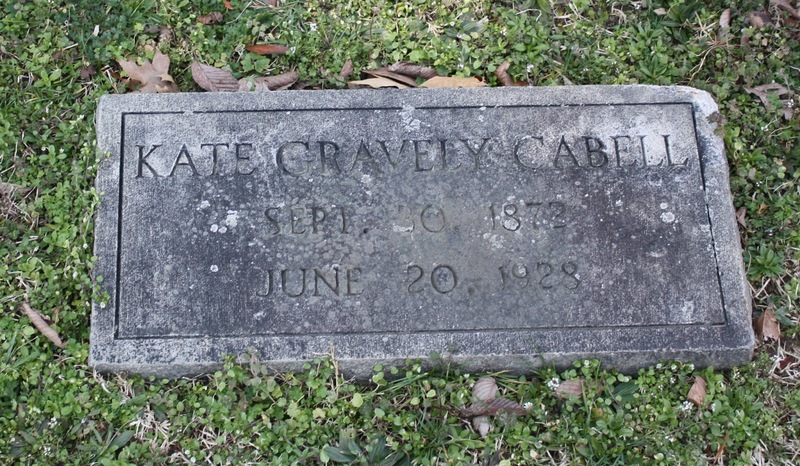 Kate W. Gravely Cabell was born in 1872 into a prominent Danville family, the daughter of Captain Peyton Gravely, a tobacco manufacturer and partner at P.B. Gravely & Co., and Mary Walters Gravely. In her youth she no doubt enjoyed the privileges that accompanied the life of a person of wealth and higher social standing. Her name was mentioned in the society pages of newspapers even outside of Danville’s town limits where she was described as “bewitching” and charming. In 1892 Kate married George C. Cabell, who was also part of Danville’s high-society. George, a lawyer, and Kate lived in Texas for awhile before moving back to Danville. It wasn’t long before they moved again, this time to Norfolk, Virginia where George became involved in politics, working for the governor. Two children were born of their union, Mary and a son. Both of their children died at very early ages. George and Kate divorced around 1918. At some point following the end of her marriage, Kate moved to New York where she engaged in charitable endeavors. In June 1928 the shocking news of Kate’s death stunned those who knew her in Danville. Her body was found in William Connor’s Brooklyn apartment in a bathtub of extremely hot water. Initial reports suggested that she might have had a heart attack and drowned or that the temperature of the water caused her demise. I’m sure that the mysterious circumstances surrounding her death caused the rumor mill to go into overdrive, but Connors was not found to be connected to Kate’s expiration. News articles about Kate’s death gave the impression that she was beloved by her hometown, despite not having lived there in many years. Her body was shipped back to Danville and she was buried in Green Hill Cemetery, her grave to later be marked by a flat grass marker. Her brothers and sisters, her only living family, returned to the city to attend the obsequies, which took place on a sunny June morning. At the funeral service her grave was completely blanketed by a number of flowers sent by people expressing their condolences and the last rites were attended by a large number of mourners. The day after Kate’s body was buried her official cause of death was revealed: “congestion and edema of the brain and viscera.” Of course that blurb was much smaller than the original article detailing her death.